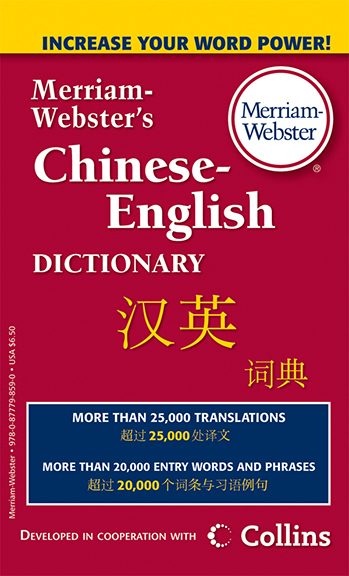 This mass market dictionary offers current Chinese vocabulary as it is spoken in China and up-to-date English vocabulary that reflects American English. This bilingual and bidirectional dictionary has 20,000 entries and phrases and more than 25,000 translations. IPS pronunciations and abundant usage examples are given. Special sections include English Irregular Verbs, the structure and pronunciation of Chinese, and English Phonetics. It gives clear, precise definitions and delivers the words you need for quick and easy understanding. It's a great dictionary for language learners, treachers, travels, and translators.